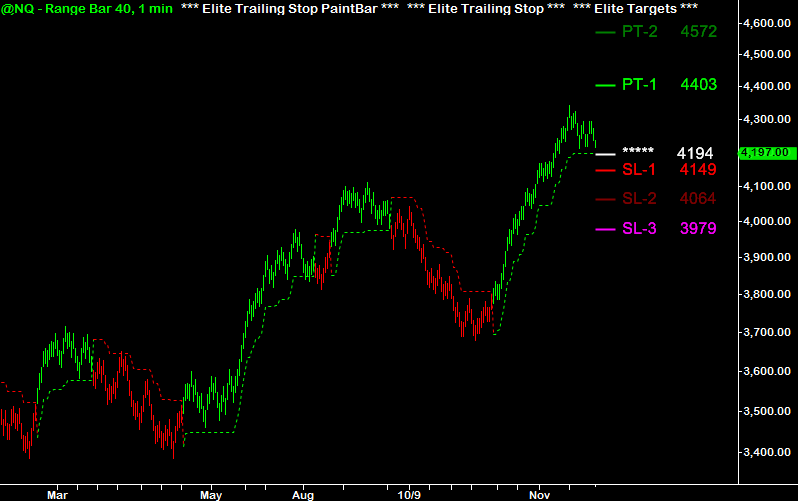 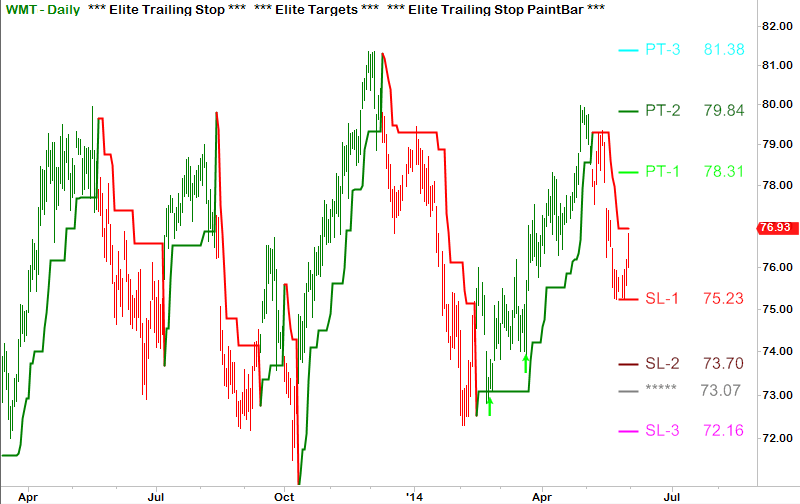 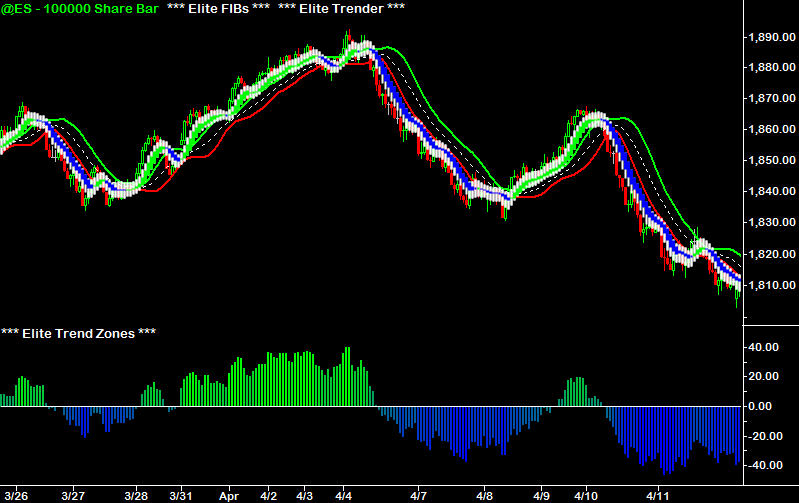 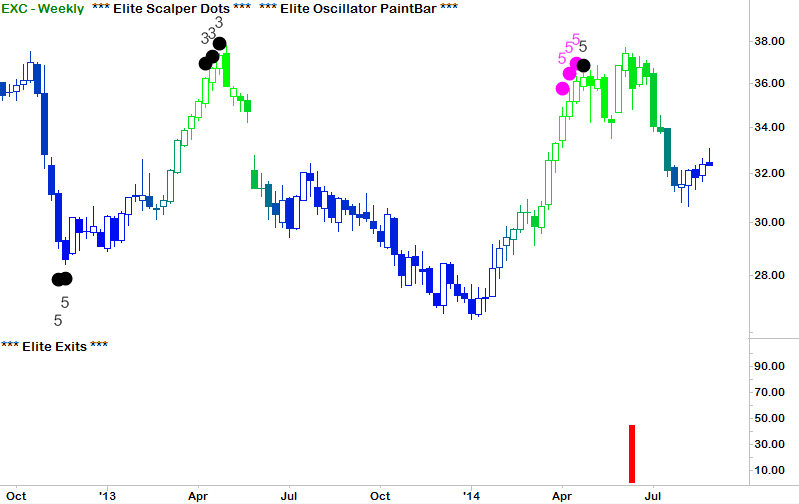 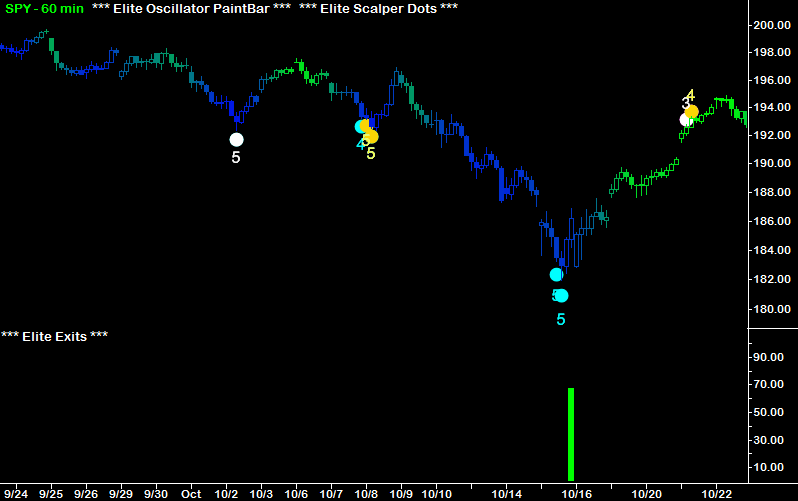 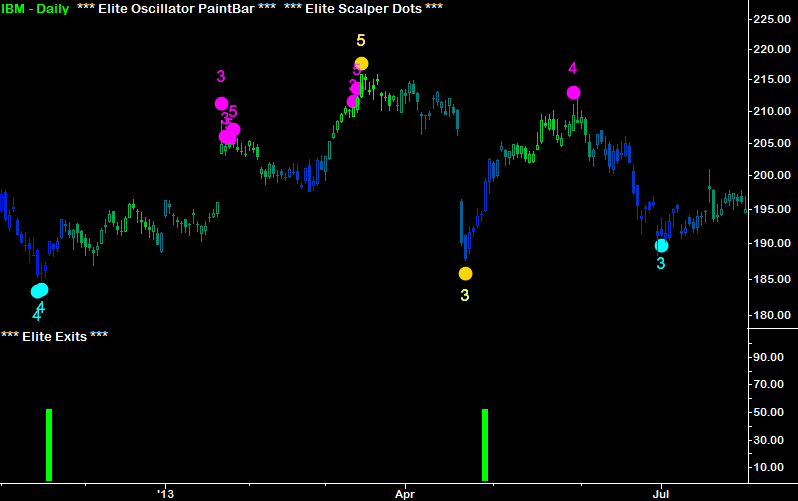 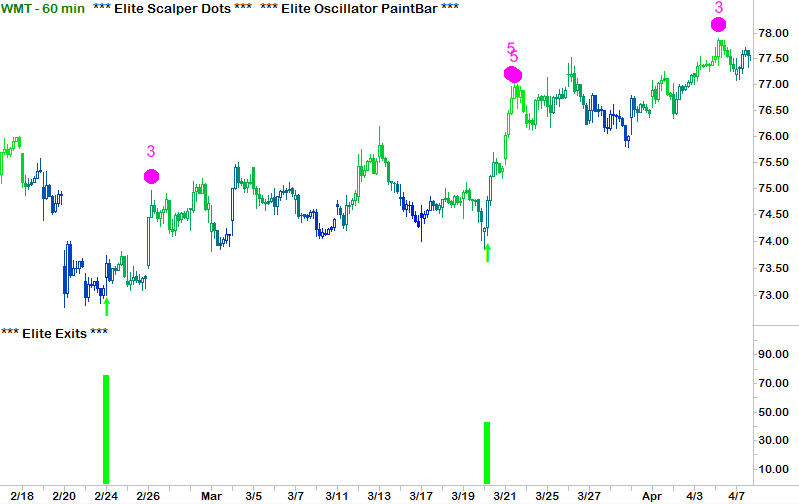 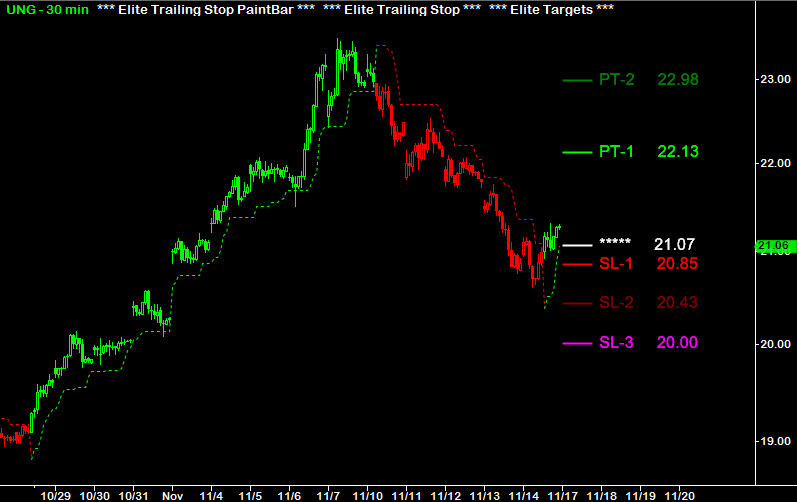 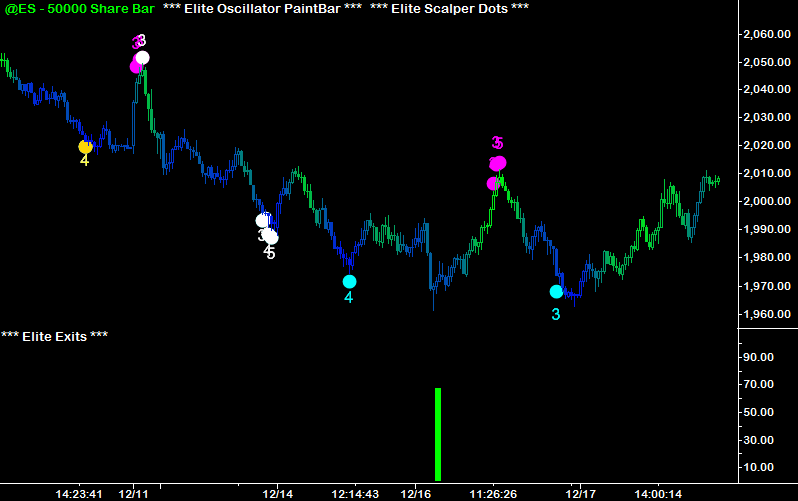 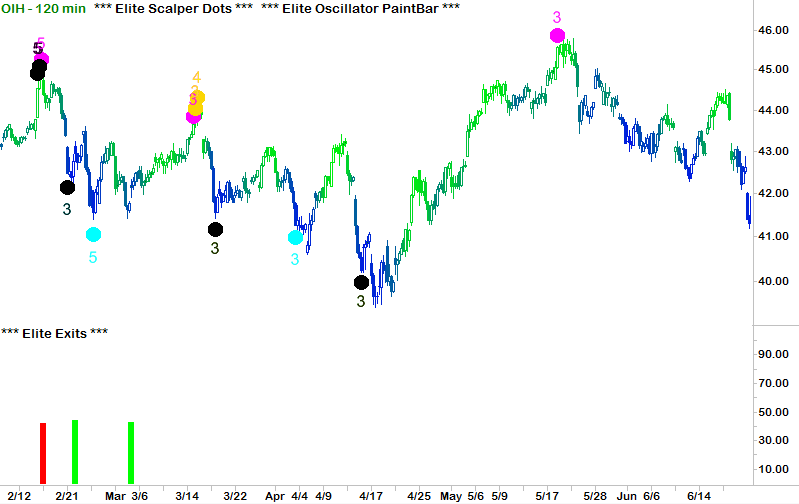 Start Your 30-Day Demo of the Elite Indicators! 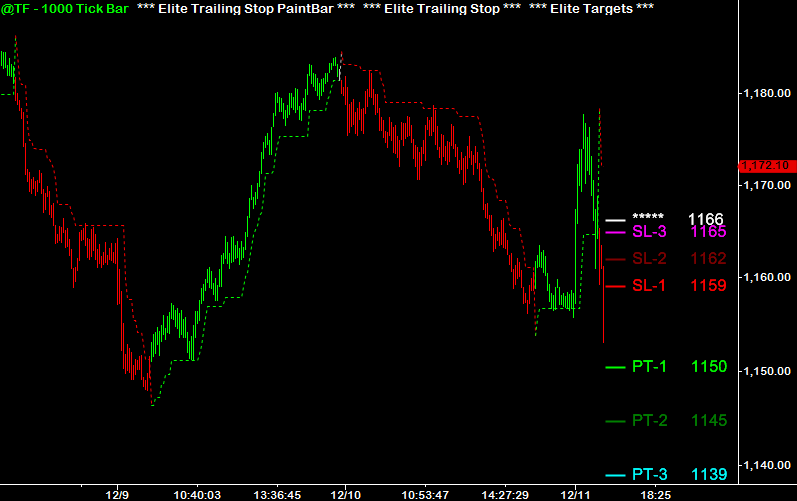 Simplify and improve your trading! 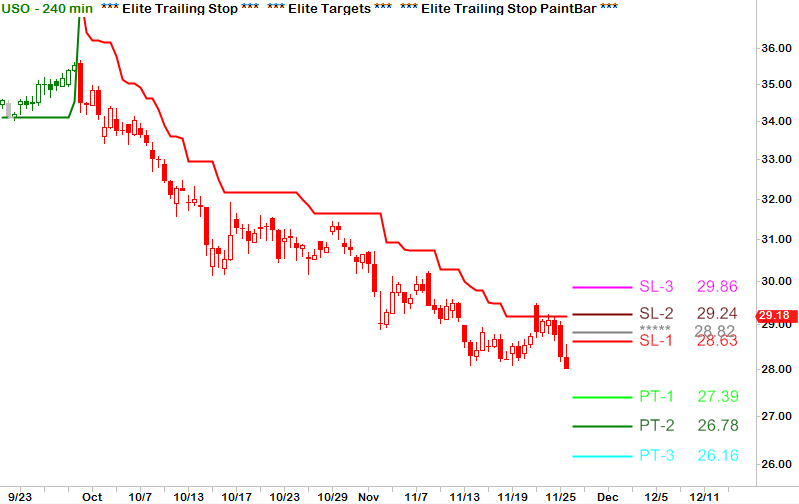 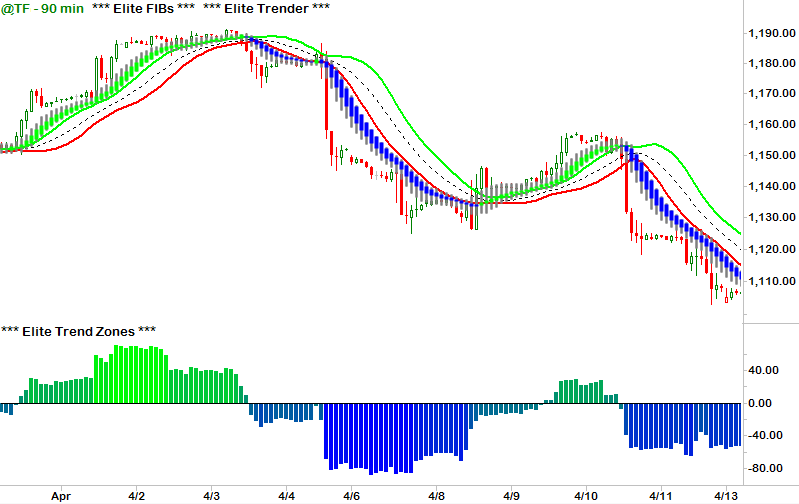 The Elite Indicators will help you diagnose trends, pin-point market reversals, and issue explicit buy, sell, and exit signals. 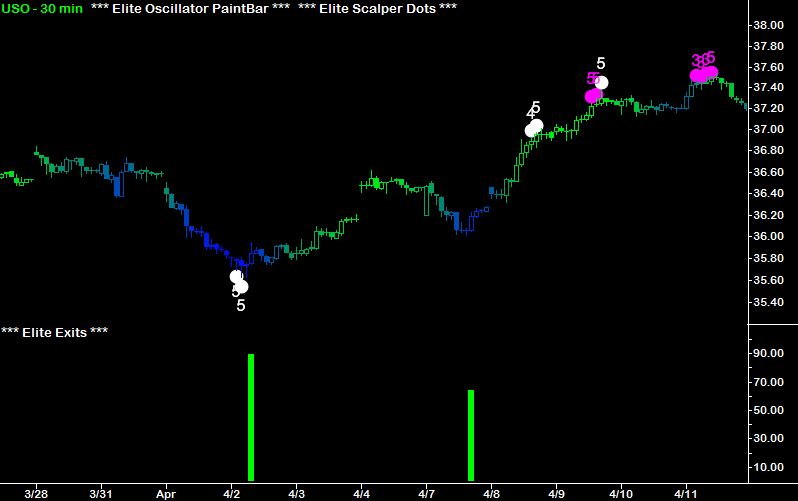 Gain an invaluable edge with real-time and end-of-day scanning capabilities! 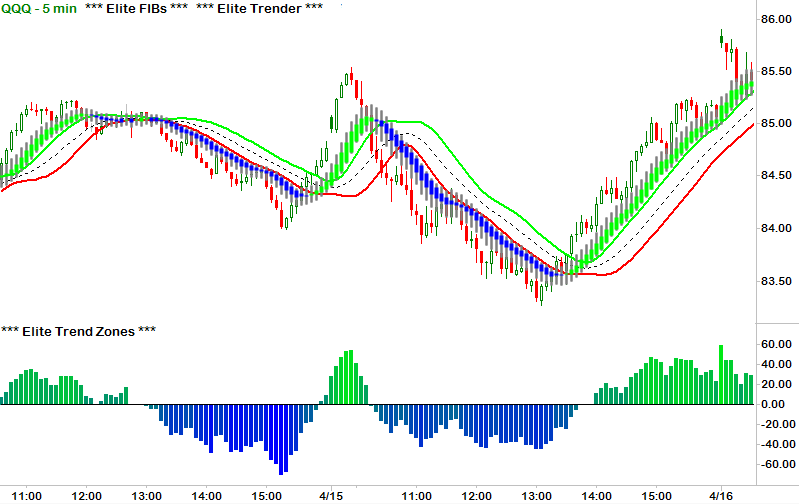 Run real-time scans to locate the strongest intraday signals and end-of-day scans to locate signals across the daily, weekly and monthly time-frames. 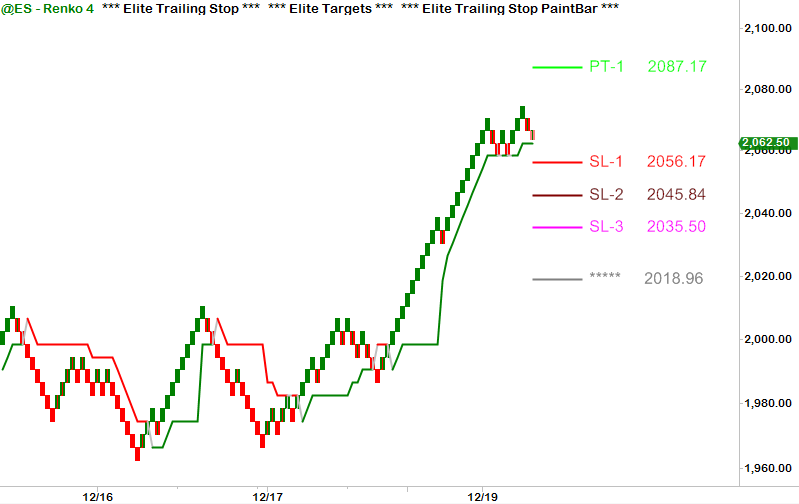 The proprietary algorithms behind the Elite Indicators work across all interval periods of time, tick, and volume — as well as alternative chart types like Renko, Range, and Kase Bars. 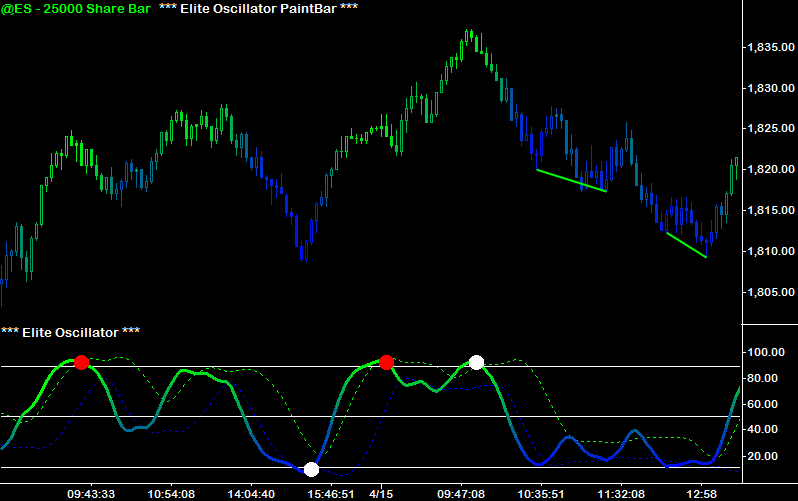 Trend Indicators: Diagnose the direction and strength of the trend to keep you on the 'right' side of the market. 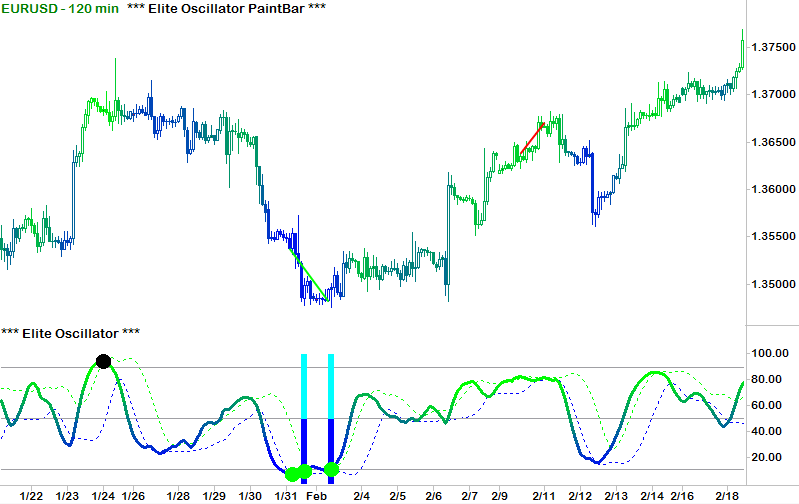 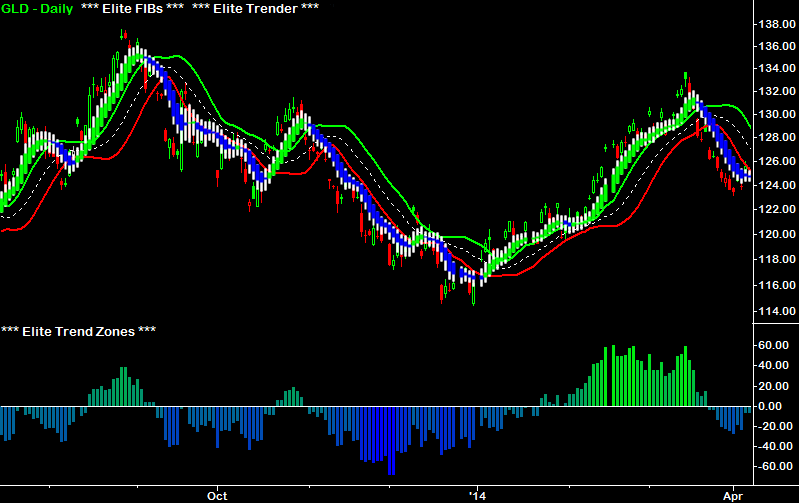 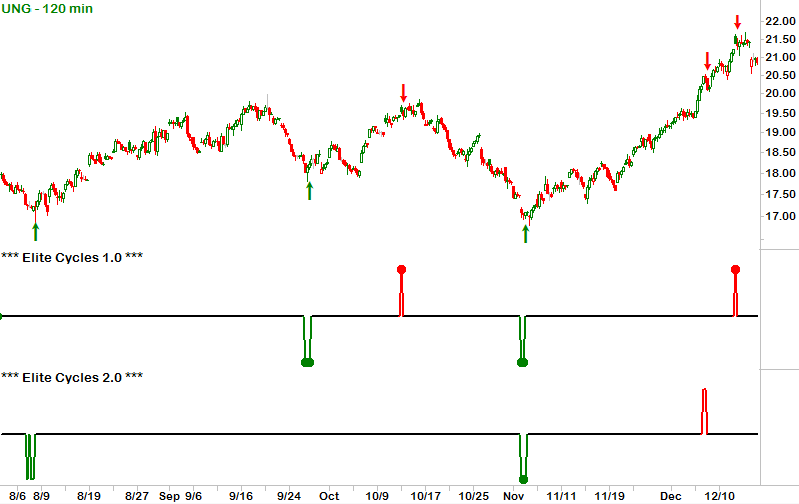 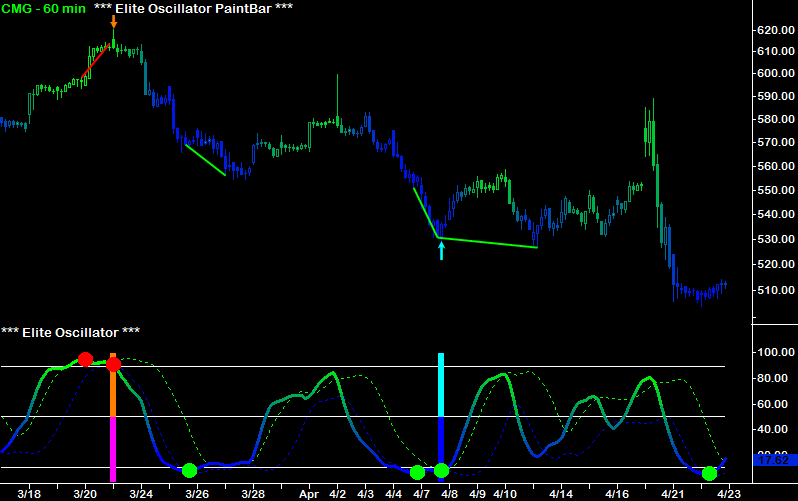 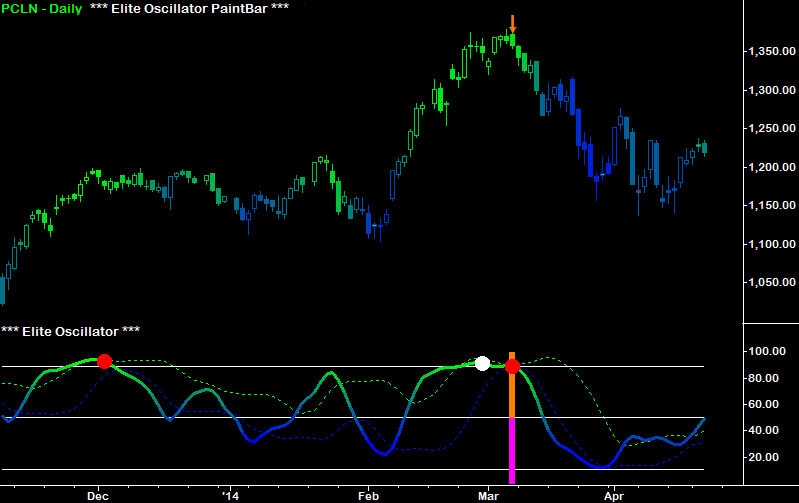 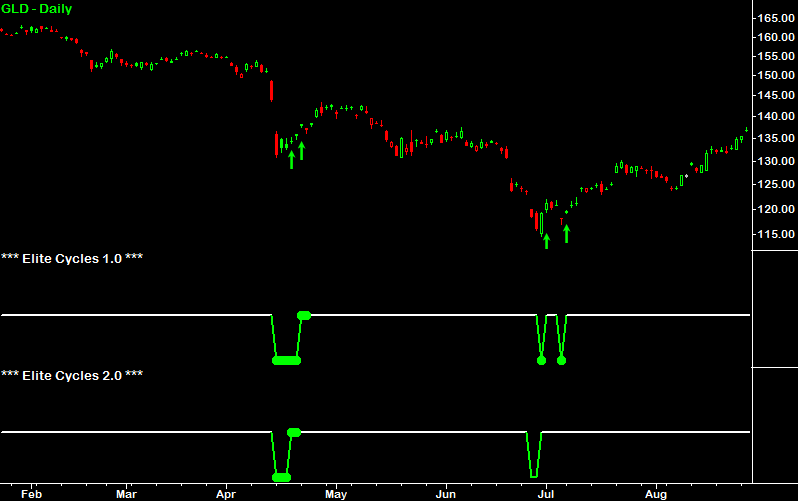 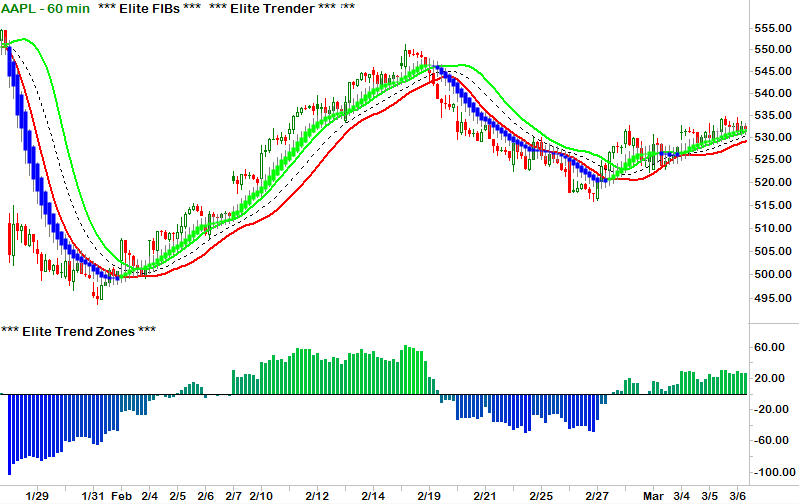 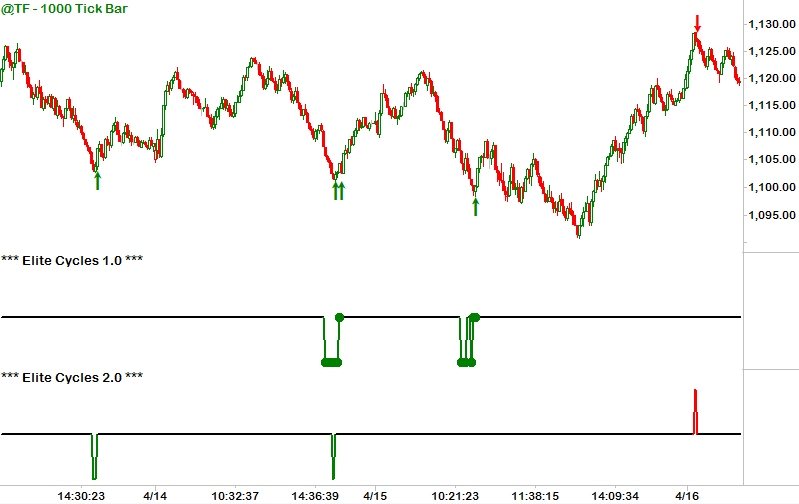 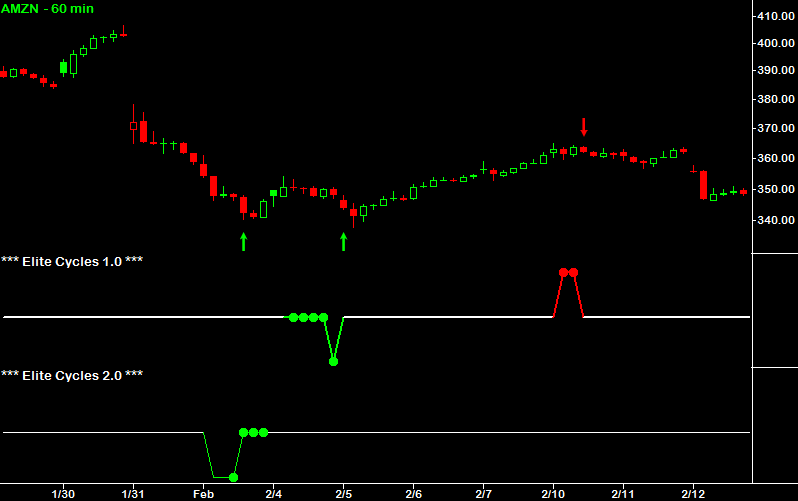 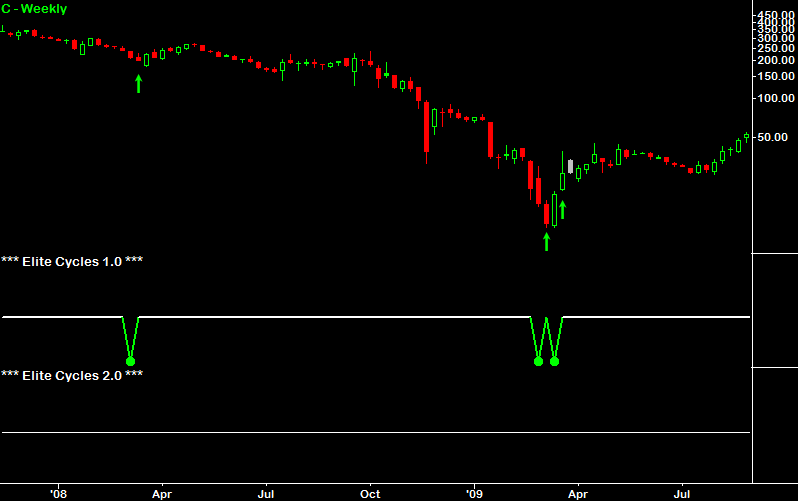 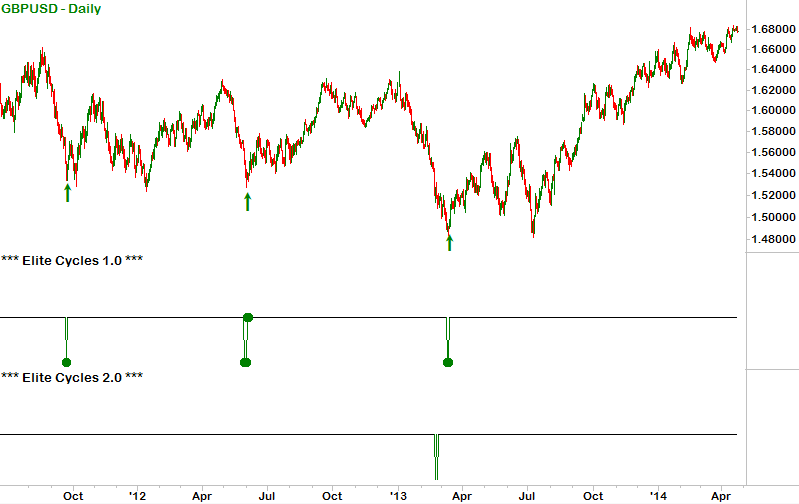 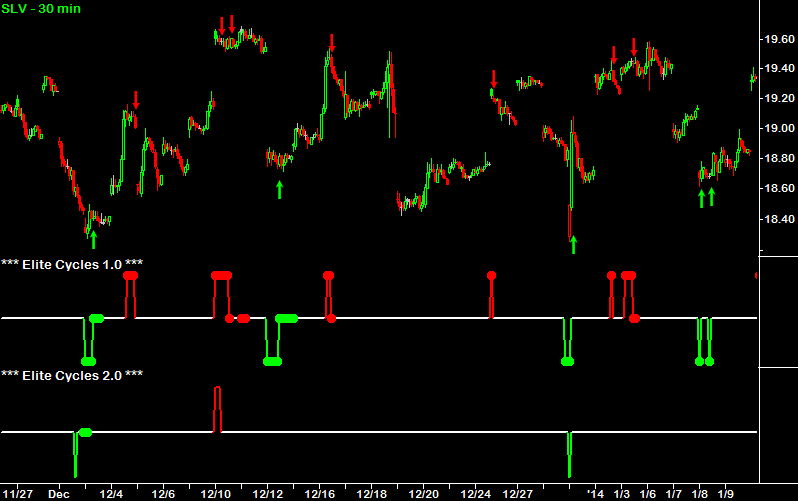 The Trend Indicators see through the 'noise' of confusing charts to show you the underlying trend at all times. 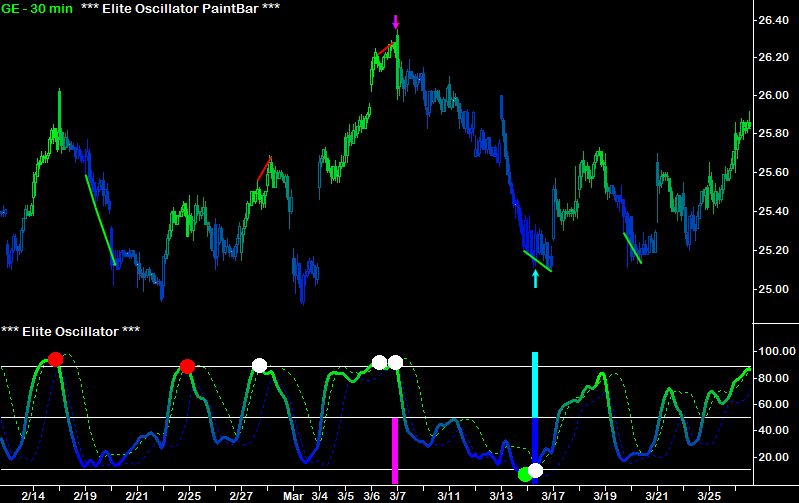 The following screenshots were taken using the default input settings for each Indicator. 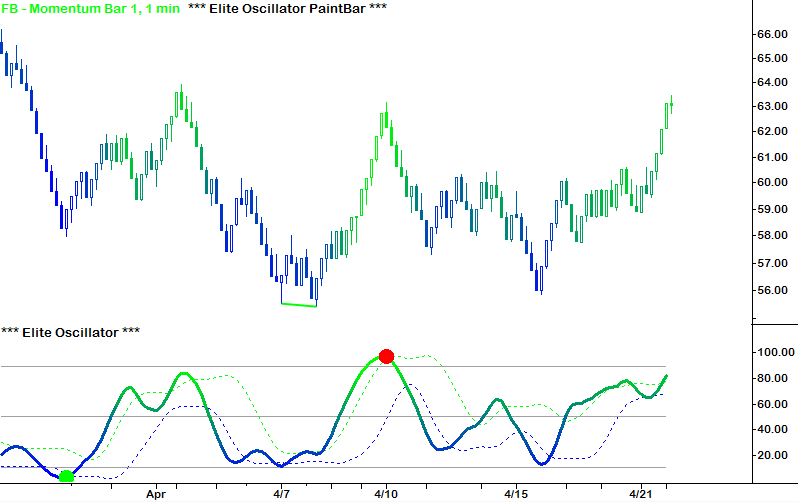 Keep in mind that each Elite Indicator is fully customizable — giving you complete control over the strength and frequency of the signals. 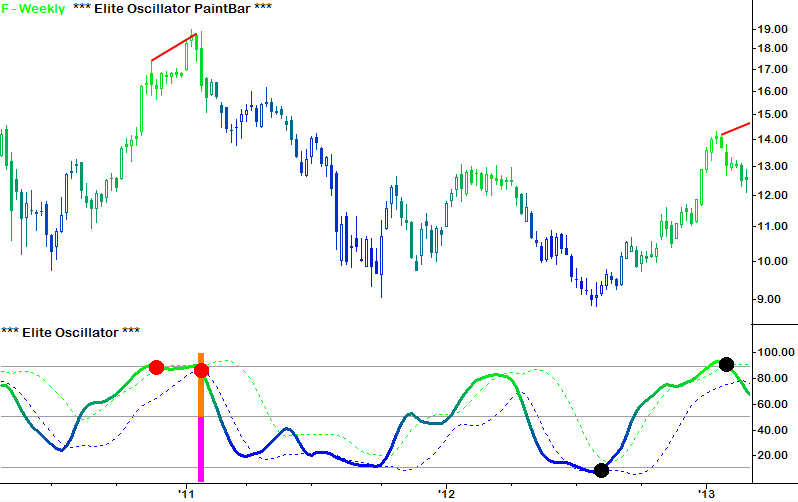 That's why we encourage users to experiment with different combinations of input settings to find what works best for their specific trading style. 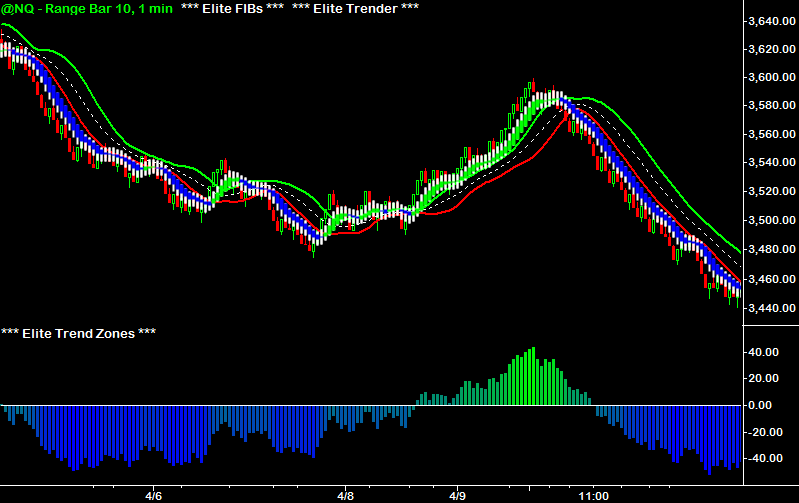 The Elite Indicators provide an invaluable edge with their real-time and end-of-day scanning capabilities. 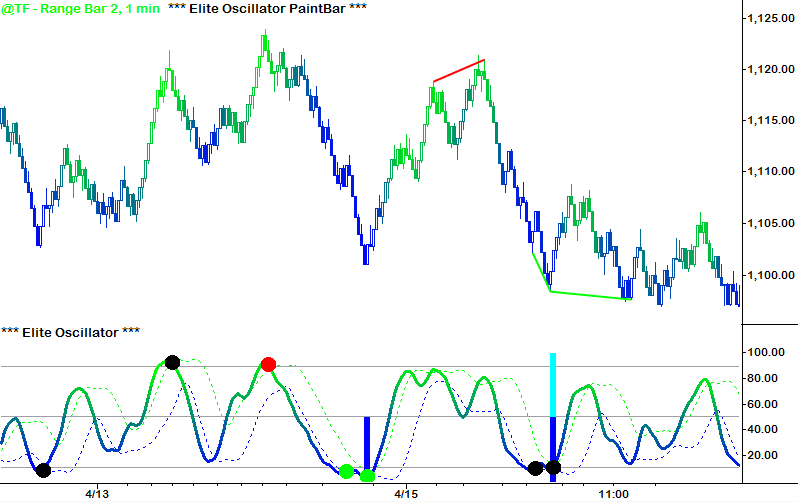 These scans unlock the full potential of the Elite Indicators by locating Buy Signals and Sell Signals for any trading instrument. 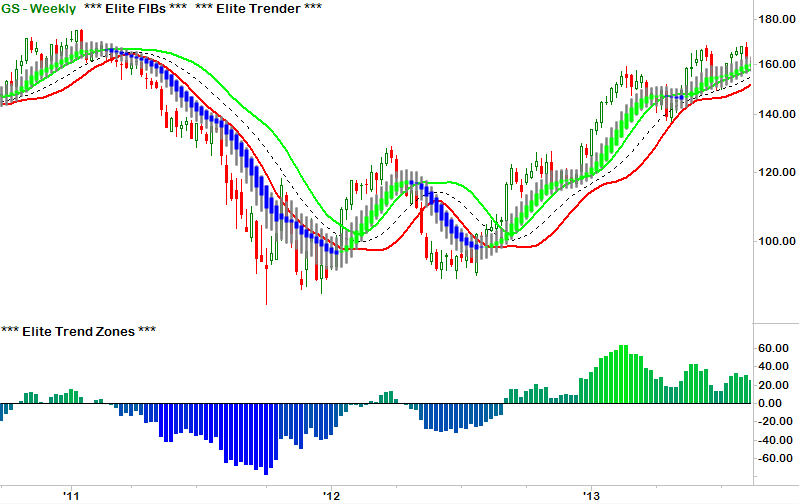 They also work on any interval period of time, tick, and volume — as well as alternative chart types like Renko, Range, and Kase Bars. 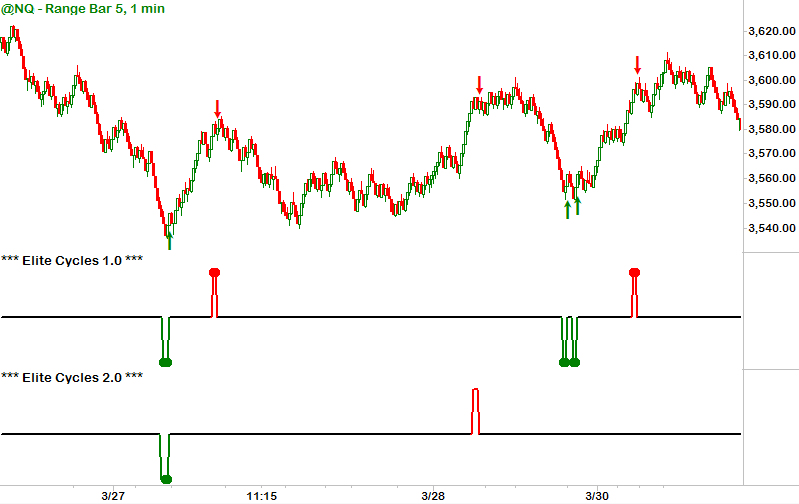 You can run real-time scans to locate the strongest intraday signals and end-of-day scans to locate signals across the daily, weekly, and monthly time-frames! 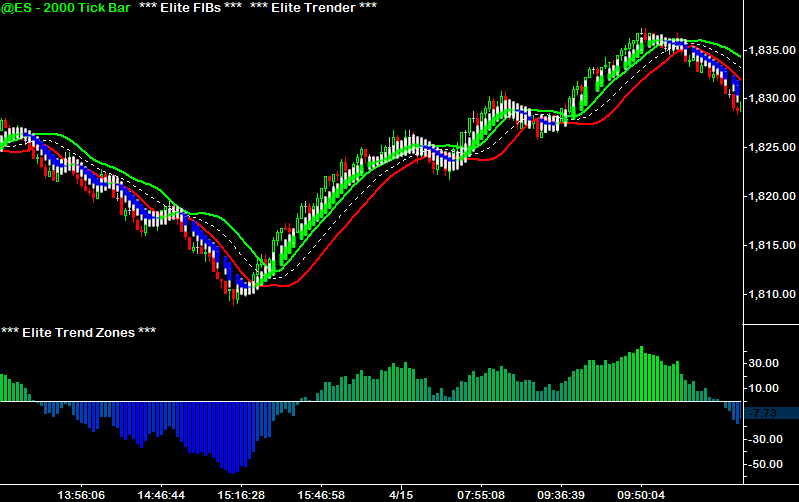 Try Before You Buy with a 30-Day Demo! 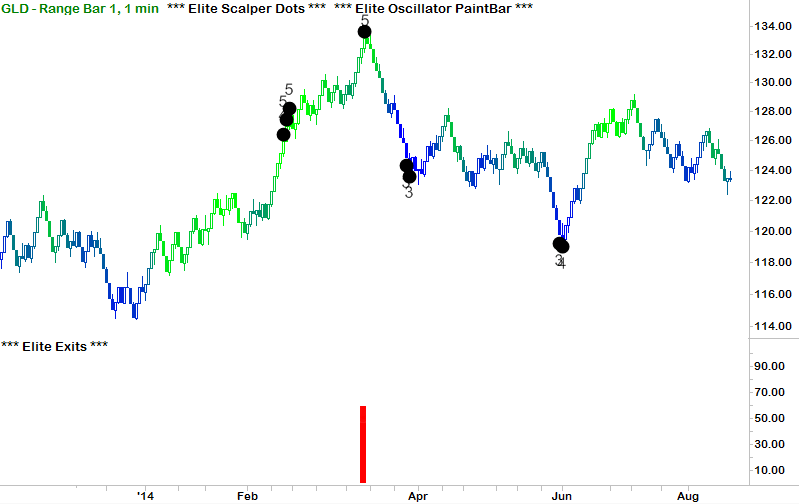 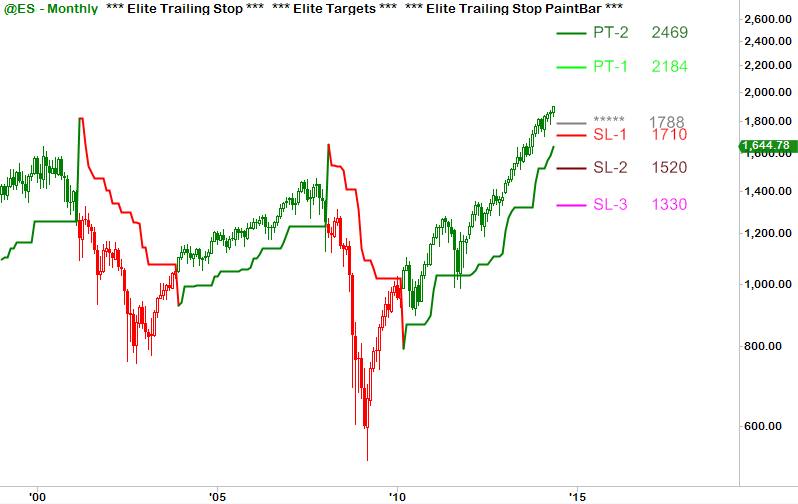 Interested in a specific Elite Indicator? 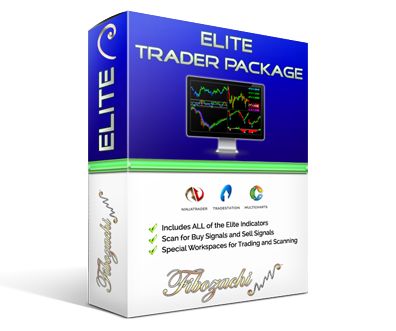 You can exchange the Elite Indicators for multiple Indicator Packages of equal or lesser value — up to 30 days after purchase! 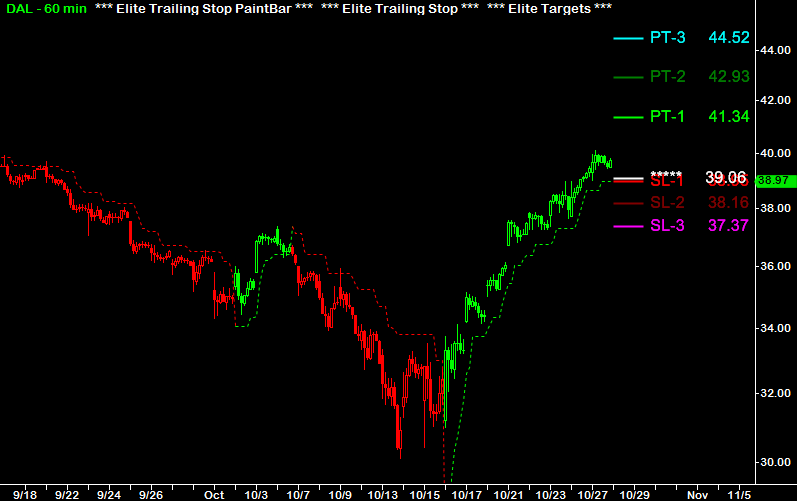 Have a question about the Elite Trader Package™ or a specific Elite Indicator?